Plan ahead this winter by making sure your DEF supporting equipment stays in operable condition. Diesel exhaust fluid freezes at 12F (-11C). Upon freezing, DEF can expand up to 7%. 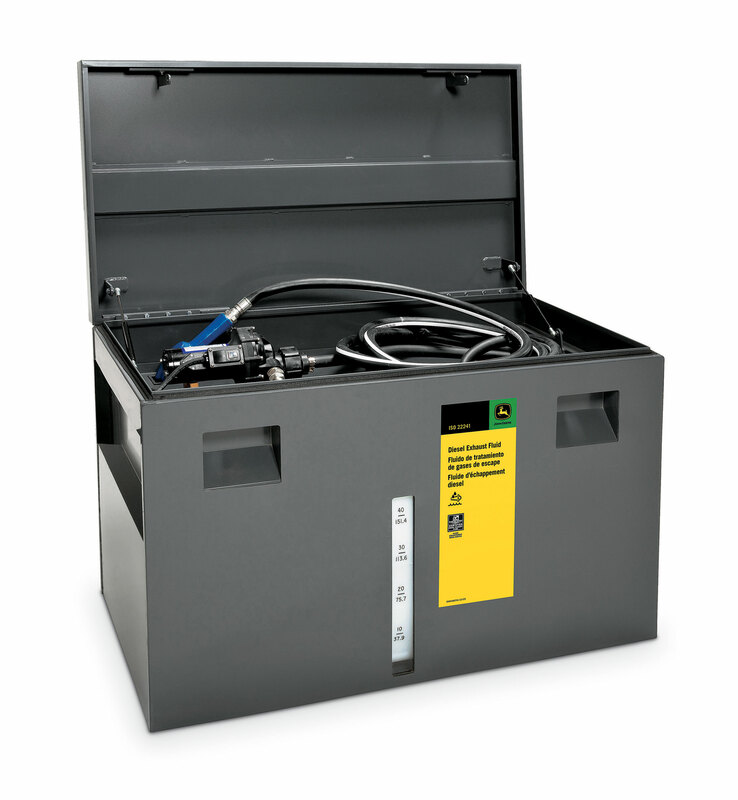 This expansion puts the pumps, hoses, and nozzles on the pump kits and portable dispensing units at risk for bursting or cracking. – Step 1: Disconnect your coupler from the tank. – Step 2: Let the pump run until you see the DEF spritzing out the end of the nozzle. Let the pump run as dry as possible. (No harm will be done to the pump by letting it run dry). – Step 3: Wipe down items with a clean, dry cloth. A very small amount of DEF will remain in the pump, but it will not be enough to expand and crack the housing on the pump. – Metal Portable Dispensing Unit: Follow the same instructions as listed above. – Poly Portable Dispensing Unit: Simply run the pump until the pump runs dry or spritzes out the nozzle. *Heated storage is the safest way to store your items if this method is available to you. Note: Do not try to winterize your DEF equipment by pumping antifreeze into the pumps or portable dispensing units. The antifreeze will contaminate the DEF equipment, and potentially cause harm to the SCR system on your John Deere machine. Fall harvest is under way in Central Illinois. Some aggressive elevators are pushing some farmers to get an early start even with high moisture. Yields have been very good. The FT4 (Final Tier 4) combines don’t seem to be using a lot of DEF up to this point. The .2-.3 gph usage does not seem to be too far from reality. 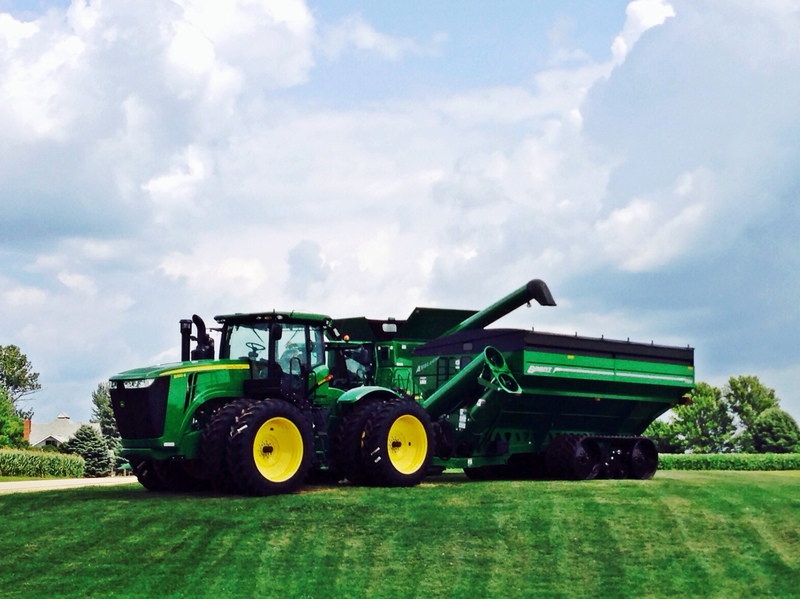 Also new for 2014 FT4 combines is the new Integrated Combine Adjust (ICA). This system provides suggestions on what adjustments to make based on some questions you answer. If this button is flashing orange or red at you then simply press the flashing button and go through the ICA pages until you get to the point where it suggests an adjustment for improvement. At that point hit the cancel button and it should quit flashing at you until at least the next time you engage the separator. Under the “Mapping” button on your 2630 there has been a labeling change. When you go to select yield as your foreground for the mapping page, it now says yield (wet). The mapping page with all of the different colors representing yield has always been in wet bushels but now the button indicates that to be the case.